Navigation and other committee leaders from four branches proposed recommendations for enhancing curriculum across all branches. The 21 volunteer leaders from all activity types met June 19/20 at Meany Lodge to chart a course for 2016 and beyond. Navigation and other committee leaders from Everett, Foothills, Seattle and Tacoma proposed development of a coherent “navigation curriculum ladder” across all branches. The 21 navigators, climbers, scramblers, hiker/backpackers, authors, and back country ski and snowshoe instructor/leaders met June 19/20 at Meany Lodge to chart a course for 2016 and beyond. Hosted by Seattle Branch Navigation, they heard Friday night briefings on maps, compasses, altimeters, smart phone & dedicated GPSers, PLBs & satellite messengers, drafting of Freedom of the Hills, 9th edition (Freedom 9--2017), and an e-learning navigation pilot (instructor guided basic navigation workshop) now under development. 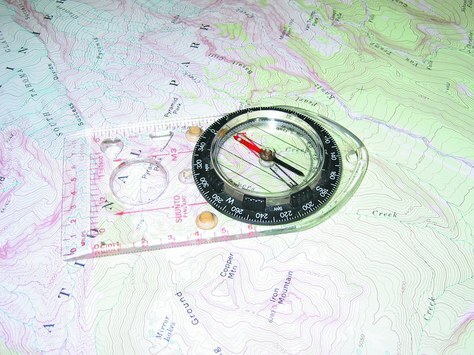 While the central and critical role of maps was reaffirmed, there was intense discussion around the role of altimeters and GPSers in the backcountry. And there was strong support for “strongly recommending” altimeters as an essential backcountry tool. Navigation Summit 2015 was convened to address the increased use of electronics in navigation, the upcoming revisions of Freedom of the Hills, and the impending navigation elearning pilot. The group has no authority to enact or command changes, only to report and recommend. Saturday breakout groups gave findings and suggestions by activity area. It was acknowledged that GPS devices are now commonplace navigation tools and may soon be ubiquitous among both front and back country Mountaineers. Further, smart phones and wearables are pushing dedicated GPSers and altimeters aside. There was concern that these useful and powerful tools might lead to a decay of map and compass skills. Freedom 9 co-author Bob Burns asserted that map and compass skills would continue to be the heart of the navigation systems, the first of The 10 Essentials, but noted that more space and emphasis will be given to modern, electronic tools. Several participants noted the wide range of skills and experience encountered in navigation classes and called for differentiated instruction. They also recommended pre-requisite activities to better prepare students for instruction. The proposed, self-directed elearning modules could provide pre-class learning, several said. Elearning was also seen as a way to provide train-the-trainer lessons. Several committees noted a need for wider and deeper professional development for instructors. Many were reported to lack the teaching skills for altimeters and GPS. And it was generally agreed that trip leaders should focus more on pre-trip planning and trailhead briefings. A more complete report of the proceedings will be circulated to branches and committees over the summer. *Note: Most participants had/have other leadership roles, too. Peter Hendrickson chaired Navigation Summit 2015 with organizing committee support from Bruce Crawford, Lynn Graf, Brian Starlin and Greg Testa. Contact him at p.hendrickson43@gmail.com.